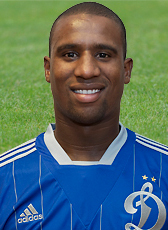 Dutch naturalized defender Douglas moved to Russia in summer 2013. The Brazilian-born is a product of the FC Twente academy and signed a 3-year contract until 2016. After two seasons in Moscow, Douglas signed a 3-year contact at Trabzonspor in August 2015. The Turkish club paid an amount of 1.5ME for the defender. In August 2016 Douglas left Trabzonspor and signed a 3-year contract at Sporting Lissabon, where he met other Dutchmen like Marvin Zeegelaar. Also Luc Castaignos and Bas Dost were playing at Sporting Lissabon in the 2016-2017 season. The 2017-18 season went very turbulent with troubles within the club. In July 2018 his contract was terminated and he is currently still looking for a new opportunity.